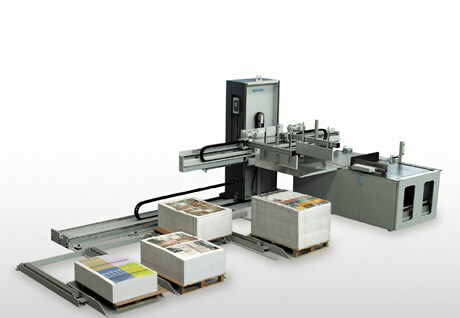 Baumann BA Multi unloaders are used to stack paper, board, plastic, aluminium foils, onto multiple skids. Increase your productivity with system! Several different sizes from 3 to 10 (XXL) are available. Call Perfecta USA today to see how productive an unloader can be for you.